Win the Central Sectional twice and the Central League Cup 3 times. Just in case anyone thinks we haven’t won anything. Thats 5 stars we should have round our badge surely? Got to enjoy these games really, nothing to lose. The start to the season has been remarkable. I feel we are back to where we were at before the talbot game. It feels like if we get something from the game we’ll be there or there abouts come end of the season. A win on sat and everyone should start taking us seriously as title contenders. A loss, meh I’d still be delighted overall with where we are at. We can’t be far off last seasons total in September the progress of the team has been excellent. Sure is if you only played in the Central League, but you take part in the Scottish, West League Premier and the West of Scotland Cup where you play against Ayrshire sides. So if you take these three competitions into consideration you have won diddly squat. 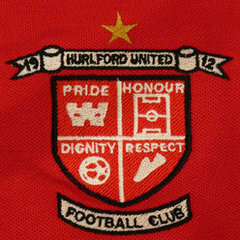 It all depends who turns up on the day really, Hurlford on their game are absolutely brilliant going forward. Should be an interesting one, gutted to be missing it! Seen both teams as well this season definitely Hurlford for me 3-1 . I haven't​ seen both teams play this season, so I'll post my prediction about 4pm tomorrow. Although still a chance I'll be wrong. On a more serious note, my first visit to Maryhill. What's the parking like? So you have won cups that excludes all the main Ayrshire teams?